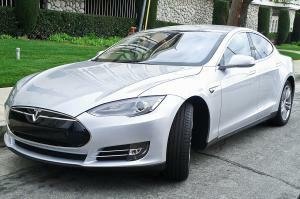 In a survey of more than 50,000 car owners, Tesla’s all-electric Model S vehicle has come out on top, reports AM Online. The Auto Express Driver Power survey of owners satisfaction levels ranked the Top 150 Cars To Own; two Renault vehicles took the second and third spots: the electric Renault Zoe and regular family car Renault Kadjar respectively. If you’re thinking of plugging into the electric car market, be sure to check you have adequate levels of insurance to cover your new stock. As well as your general motor trade insurance, you may also want to consider upgrading to a combined motor trade insurance policy, which protects the facilities as well as the contents of your site. Mark Crockett, the director of total customer experience at Groupe Renault in the UK and Ireland, said: “This outstanding result demonstrates the progression of our vehicles and reaffirms our commitment to quality. We are delighted to have the Zoe and Kadjar in the top three overall placings, and it’s especially pleasing that we have achieved such impressive rankings across the categories while also selling a record number of vehicles in the UK. The full Driver Power survey rankings breakdown as follow: 1. Tesla Model S, 2. Renault Zoe, 3. Renault Kadjar, 4. Lexus IS mk3, Renault Kadjar, 5. Lexus GS mk4 6. Lexus RX mk3 7. Skoda Octavia mk3 8. Subaru Forester mk4 9. Jeep Grand Cherokee mk4, 10. Lexus RX mk2.